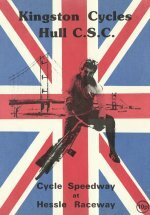 A highlight of the early years (sixties) was the annual Test Match series between Newcastle and South Shields. Les Gustafson takes us through the meetings that provided tension, frustration and close, exciting racing. 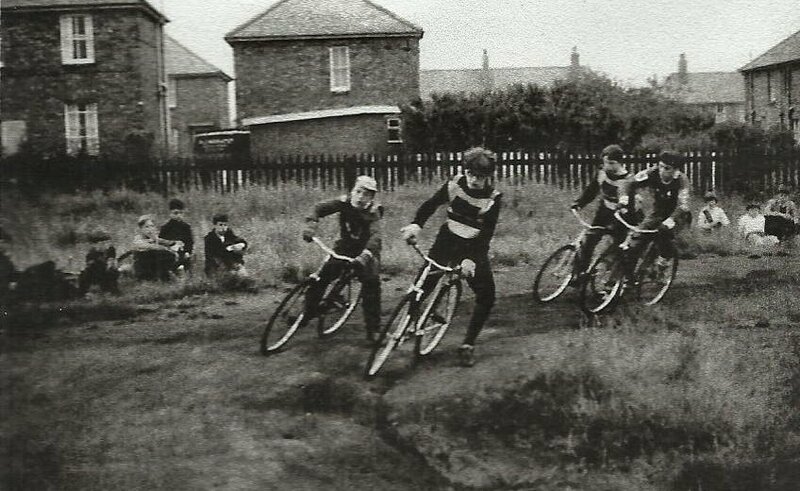 All photographs were taken at Newcastle's Monkchester Road track. 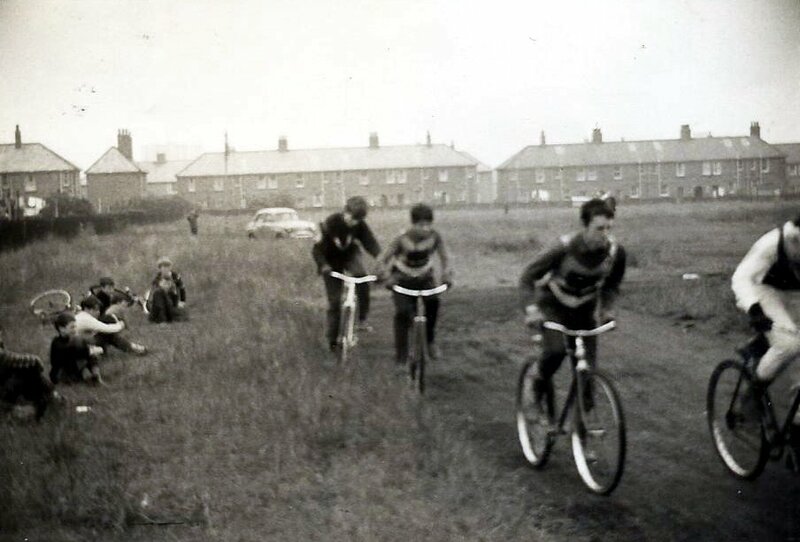 Once contact had been established between the South Shields and Newcastle Cycle Speedway clubs in the winter of ‘65/66, a Test Series was organised – over two legs, with the aggregate score deciding the winner. 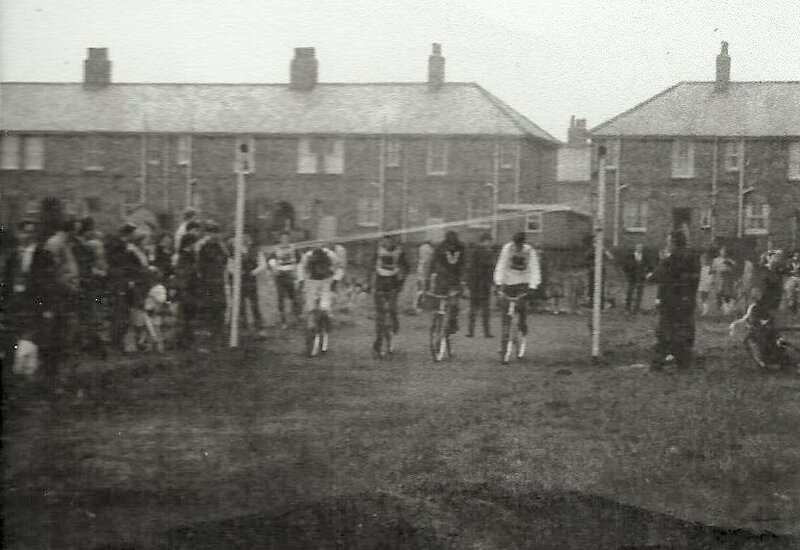 The first match took place on Saturday, April 23rd 1966, at the Trow Lea track in South Shields, with the return just over two weeks later on Sunday, 8th May in Newcastle. 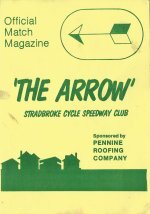 Both teams were handicapped in their away legs by lack of rider availability (Newcastle missed the solid scoring of Gess Atkinson and Jim Smith in South Shields, and Shields went into the Newcastle leg without points-machine Jim Braney), but use in this 1966 series of Speedway-style Tactical Substitute/Rider-Replacement helped to make up for these absences to some extent, enabling Ray Turner to score 20 points from eight rides in the first leg (four wins and four second-places). Ray had the distinction of being the top-scorer in the first leg of the ’66 and the ’67 series – although for opposing sides, as he had moved to Shields in the ‘66/’67 close-season, and was a key-man in their ’67 campaign. Shields’ winning margin of eleven points in that ’66 first leg was the widest in all the matches between the sides. As mentioned elsewhere, all the matches were closely-fought, with the result never a foregone conclusion. In that first leg of the 1966 series, Shields had gone 15-9 up after four heats, but Newcastle hit back with a 5-1 in heat 7, to narrow the gap to 22-20, but several heat advantages saw Shields leading 49-35 after 14 heats, and Shields were still ahead 57-44 with one heat remaining, in which Ray Turner inflicted what was only Jim Braney’s second defeat of the match, narrowing the final score to South Shields 59 Newcastle 48. Keith Thompson and Jim Braney were the Shields’ stalwarts, helped by Doug Atkinson, but for stamina and total points scoring, Ray Turner took the accolade. Mike Dobson, the home captain, was unusually down on scoring-power after an uncomfortable return journey from holidays the day before the match. Keith Dyer had wretched luck with his bike in his heats. 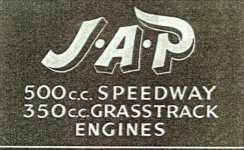 (Keith Thompson 17, Jim Braney 16, Doug Atkinson 13, Les Gustafson and Pete Phillipson 5 each, Mike Dobson 3, Murray Gibson 0). A tight first bend sees the Newcastle pair of Gess Atkinson and George Taylor leading Jim Smith and Eddie Murray. In the return leg at Moorland Park in Newcastle, the home side had to wait until heat six before they could open up a gap with a 5-1, which they repeated in heat seven, to lead 26-16 – only one point behind on aggregate. A succession of drawn heats followed, until Shields grabbed their own 5-1 in heat 12, which brought the score to 39-33 in favour of the home side. Although Newcastle then widened their lead to eight points, Shields pulled the difference back to only five points with one heat to go, which meant that they had clinched overall victory. A Newcastle 4-2 in the final heat brought the match score to 57-50 in favour of Newcastle, with Shields winning on aggregate 109-105. Norman Carson and Keith Dyer stood out for the home side, and George Taylor recorded his second double-figure score of the series. Keith Thompson again scored heavily for Shields, assisted by a return to form by Mike Dobson, compared to the meagre three-point score he recorded in the first leg, and he took eight rides in this leg. (Keith Thompson and Mike Dobson 15 each, Doug Atkinson 10, Les Gustafson 5, Pete Phillipson 3, John McConnell 2). Test Match action on the back straight at Monkchester. L-R Peter Burns (N), Eddie Murray (SS), Jim Smith, (SS), Keith Dyer (N). There had been several significant changes by the time that the 1967 Tyneside Test Series took place, eighteen months after the first contest. Both sides had a different home track. 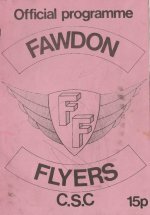 The personnel of both teams was quite radically different, and the matches were still run over eighteen heats - but now with eight-man sides. The first leg was again in South Shields, at Temple Park on October 8th. Shields took an early lead, but Newcastle hit back with three 4-2 heat wins and the score at the interval was 27.5 -26.5 in favour of the home side. Shields had opened up a five-point advantage with just four heats to go, but Newcastle then hit back with a 5-1, to trail by only one point. Shields immediately scored their own 5-1, followed by a 4-2, and a drawn last heat left Shields as 57.5 - 50.5 winners. Ray Turner headed the home score-chart with a five-ride maximum, supported by Mike Dobson and Terry Kirkup, each with 11 points. 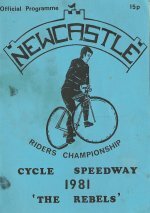 Jim Graham led for Newcastle with 13 points, with Keith Dyer on 10.5 points (he and Jim Smith had dead-heated for second place in heat three). 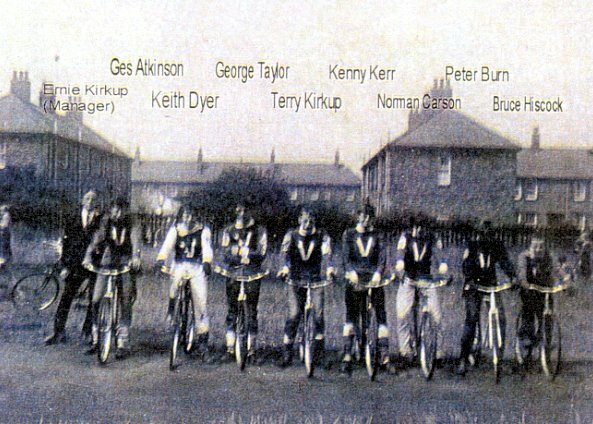 Jim Graham 13, Keith Dyer 10.5, Norman Carson 8, Gordon Dominy 5, Kenny Kerr and Jim Hewitson 4 each, Gordon Stobbs and Eddie Murray 3 each. 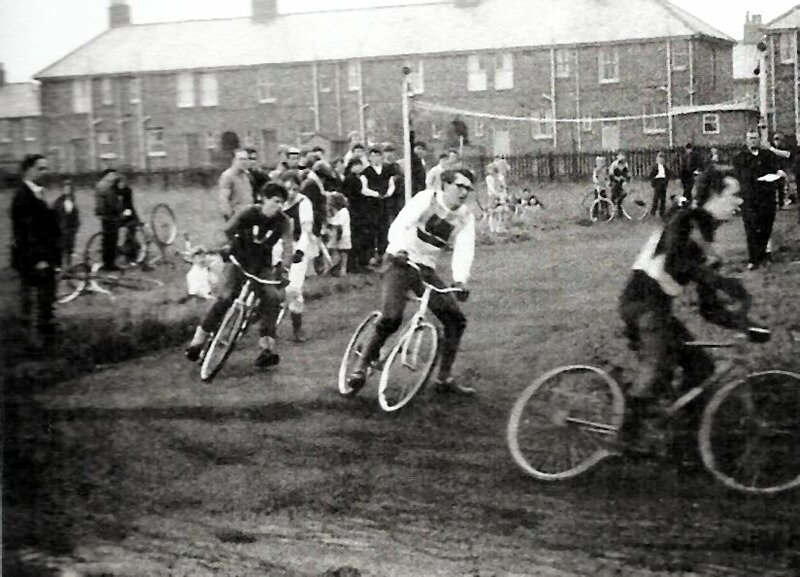 Jim Smith (SS) leading Ken Kerr (N) into the 3rd bend. Behind are Les Gustafson (SS) and Bruce Hiscock (N). Ken came through to win the race. 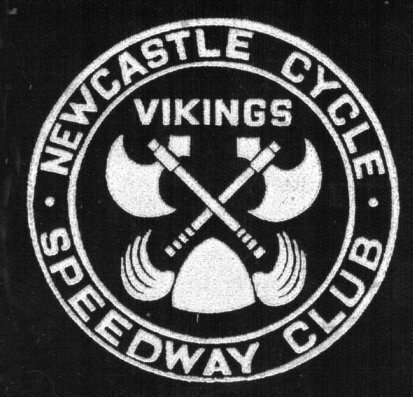 Newcastle started the match strongly, with 5-1 scores in two of the first three heats, but Shields fought back with four 4-2 wins, so that the scores were level 27-27 at the interval, and Mike Dobson on 9 points was the only unbeaten rider. Jim Graham and Kenny Kerr gave the home side another 5-1 in the first race after the break, but a 5-0 to Shields in heat 13 saw them nose into the lead 39-38, and increase this to 42-40 after a 3-2 in the next race (the track was slippery in places, resulting in a number of falls and exclusions – including those heats 13 & 14, where there were only two finishers. The difficult surface and tight confines of the track caused a number of mishaps). Mike Dobson came out in heat 16 looking to emulate Ray Turner’s five-ride maximum from the first leg and to keep Shields ahead, and looked good when he led from the gate, but then fell, and the home side seized the opportunity to grab a 5-1, putting them two points clear at 48-46. A drawn heat 17 meant that the match was still on a knife-edge as the riders lined up for the final heat, and Newcastle played their trump-card by bringing in Kenny Kerr for an extra reserve ride. He duly delivered the goods, heading home Frank Auffret and Terry Kirkup, but a fall by the home-side’s joint-top scorer Keith Dyer meant that the heat was drawn 3-3 (which nevertheless saw Newcastle home to victory 54-52 – although Shields again took the aggregate win 109.5 – 104.5). For the home side, the old guard of Norman Carson and Keith Dyer were joined on 10 points by new boy Kenny Kerr, while Shields also had three riders in double figures. 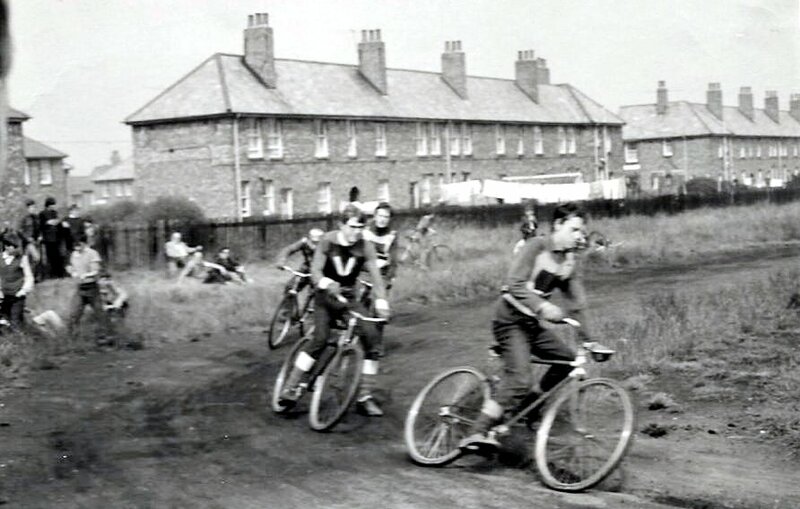 After the Newcastle leg of the ’67 Test Series, it was thought that results couldn’t come any closer, and certainly the South Shields team were apprehensive as they waited in the pits before the start of the ’68 meeting at the same venue, being on the day without Frank Auffret, who had raced to two wins and two second places in his ten-point total in the corresponding meeting in ’67. There were familiar names from ’67 on the team-sheets, but some had switched sides – Jim Graham and Eddie Murray now represented Shields, and Terry Kirkup had returned to the Newcastle fold, and this latter change was to have the most impact on the match. 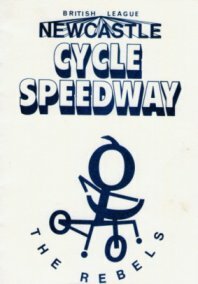 (Note: in those days, Cycle Speedway followed Speedway in its scoring system – three points for a win, two for second and one for third place – but subsequently changed to 4-3-2-1, as a means of encouraging fourth-placed riders not to drop out of heats – so present-day riders might not regard Frank’s 10-point score in ’67 as anything special). 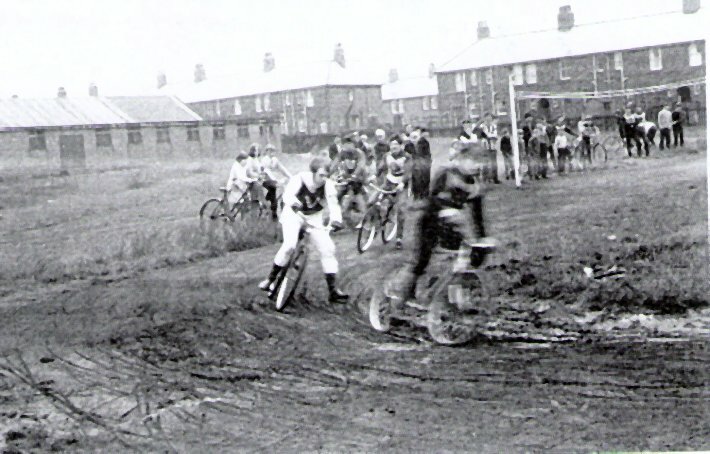 Once the match got underway, however, Shields quickly raced into a 12-6 lead after three heats, and although Newcastle had the first man across the line in three of the next five heats, they could only gain one race advantage (a 4-2 in heat 8), so by the half-way stage they were still four points down at 22-26. Shields owed their lead mainly to Ray Turner and Mike Dobson, who had each won two heats, and the gap between the teams was maintained over the four heats which followed the interval – until the only 5-1 of the match in heat 13, which extended Shields’ lead to eight points, at 43-35. Far from disheartening Newcastle, however, this reverse seemed to galvanise them into a last-ditch effort to save the match, and they scored 4-2 wins in heats 14 and 15, to close the gap to four points. Their task was still formidable, as the flying Ray Turner and the unbeaten Mike Dobson still had to take their final ride, and Shields “super-reserve” Jim Smith was penciled in for two of those last three races – but in heats 16 and 17 there was only one finisher across the line from each side, due to exclusions and falls, and in the latter heat Norman Carson inflicted Mike Dobson’s only defeat of the day. With Newcastle taking each of those heats by a 3-2 score, it brought the totals to Newcastle 49 South Shields 51, with one heat remaining. If the freeze-frame photograph of the first bend of that final heat had heralded its actual outcome, Shields would have been home and dry, as it shows the home side’s Kenny Kerr being squeezed out by the Shields pair of Jim Graham and Ray Turner, with Kenny’s team-mate Terry Kirkup seemingly trailing. Somehow, however, Terry found the space to come through to the front, and with Kenny Kerr relegating Jim Graham to last place, Newcastle tied the match at the death, 53-53. Team management in meetings between these sides was not for the faint-hearted ! Only Terry Kirkup for the home side managed to get into double-figures – courtesy of his wins in heats 15 and 18 – but he was backed solidly, if less spectacularly, by all his team-mates. In contrast, Shields were top-heavy on the day, relying on Mike Dobson and Ray Turner for half of their points total. 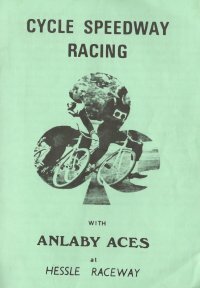 Jim Braney rode his first match since the inaugural meeting two and a half years earlier, and although his contribution was more modest on this occasion, it was nevertheless critical, as his second place in heat 14 after Jim Graham had been excluded denied Newcastle the 5-1 which would have given them victory in the match. Newcastle counted themselves unlucky to suffer exclusions at key moments to George Taylor and Keith Dyer. Each side had nine heat-winners, an example of how tight the match was. 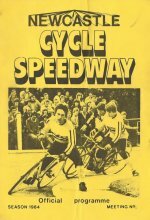 One of those heat-winners was the youngest rider on the track, Bruce Hiscock, who also had a second place in his three rides. Although several years younger than the other riders, Bruce is sadly no longer with us. 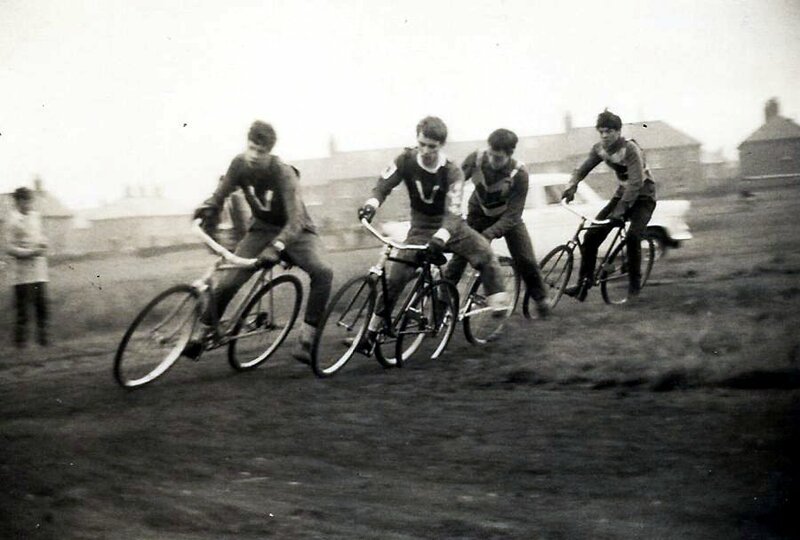 Ray Turner (SS) leads from Bruce Hiscock (N), George Taylor (N) team riding to keep Jim Braney (SS) at bay. Action from the start, re-run as the tapes failed to rise properly.